Valve Software or known now as Valve Corporation is a company who developed games such as Counter-Strike and Half-Life series which everyone loves. Just as some other themed minecraft resource packs, Half-Life 2 Resource Pack also adds a lot of its theme related unique things and features. It adds Half-Life 2 weapons and armors with 3D support. Another amazing feature of this pack is that it adds a beautiful user interface or just GUI with black and orange color palette which looks very similar to what it looked in the actual game. 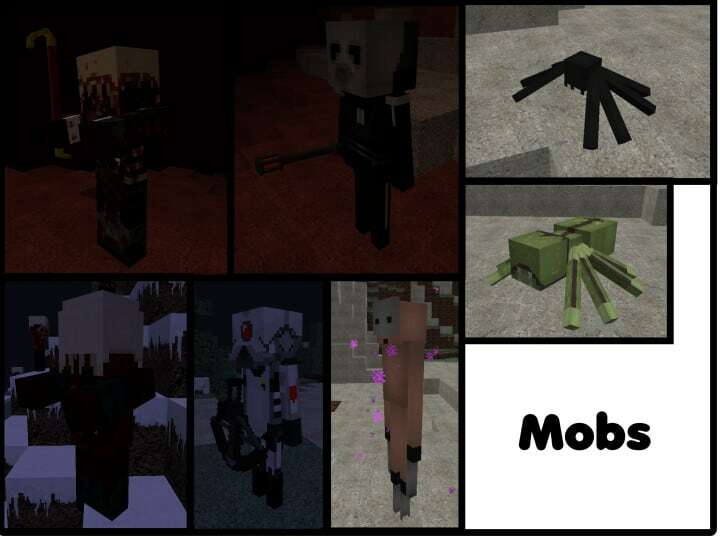 A lot of default minecraft mobs was replaced with amazing Half-Life 2 themed mobs and this makes the pack more unique. With Half-Life 2 set of textures, everything you enjoyed in Half-Life 2 game you will now see in your Minecraft world. *Credit for creating and developing Half-Life 2 goes to Hunajameloni. It is designed and compatible with the following minecraft versions: 1.11, 1.10, 1.9. Right now Half-Life 2 has 125414 views.